NOTE: This blog is actually a position paper on brand equity metrics and modeling, critiquing the MASB metric and offering something better as an alternative. Ad Age reported on Monday that MASB (Marketing Accountability Standards Board) has found the magic brand metric…actually, it’s an old metric where respondents are asked to choose which brand they would want if they were to win a lottery. Changes in the percent choice supposedly match changes in market share. But if that’s all, that isn’t enough to make marketing better. The MASB “magic question” is actually an over-simplified version of a much better question, the constant sum question where respondents are asked to allocate 10 chips across brands in their consideration set. This question was the cornerstone of a brand equity tool the team I led created in the 1990s, called BrandBuildertm (now owned by IPSOS) and applied to hundreds of brands while I was Chief Research Officer at The NPD group. In some cases, we conducted BrandBuilder studies among IRI home scanning panelists and were able to prove the remarkable accuracy of the metric AT AN INDIVIDUAL LEVEL…and this is KEY in a digital age…predicting the actual recorded share of requirements (= probability of purchase) for each individual respondent. Furthermore, I had created a unique calibration method that was presented at ART forums that made the respondent level correlations even stronger. Now why is the BrandBuilder constant sum approach more likely to make marketing better than the over-simplified “pick one” method? Shoppers have consideration sets that are ordered. You might have a favorite brand on top of the list but over 50% of purchase decisions at the brand level in CPG are finalized at the point of purchase so clearly, shoppers often do NOT go into the store with a single choice in mind. In a digital age, even for complex products like smart phones or financial services, brand consideration comes and goes as shoppers do their research online. Finally, the pick one method just fails the logic test…if I could win one auto brand in a lottery I might pick a Bentley but I would never buy one in real life…I just can’t see myself actually spending $100K+ on a car. Numerous studies show that the consumers who are most likely to respond to your advertising and offers are those who are “switchable”…their probability of buying your brand vs. another is between 10-75%…not 0% and not 100% Constant sum, when modeled up to scale via lookalike modeling and placed in your DMP, will allow you to target accordingly. This targeting ability already exists via Datalogix, IRI proscores, and Nielsen Catalina; so why take a step back via over-simplification? If you use a pick one method, you get 0-s and 1-s but who are the switchables? They could be in either group! If your brand has a probability of purchase of say, 33% with a given consumer, you could be either. If that consumer has a more preferred brand, your brand was not picked and you are a 0. If 33% is the highest because there are a lot of 10 and 20% brands in the consideration set, you are a 1. The pick one method fails to make media targeting better in a digital, programmatic age. I have always been able to build very strong models, using chips as the dependent variable, of which attributes drive loyalty to one brand vs. another so any BrandBuilder study offered strong positioning guidance. Recently, I was NOT able to build a good model against a “pick one” metric. There was just too much loss of information. If you cross tab predicted loyalty from attribute ratings by stated loyalty from constant sum, you get a 3X3 tic-tac-toe matrix. The “upper right” box are the “real loyals”…behavior confirmed by perceptual differentiation. In a JAR paper I co-authored in 1996 with Al Baldinger, “Brand Loyalty, The Link Between Attitudes and Behaviors” we proved that real loyals had a much higher probability of being retained one year later. Your share of real loyals is the best darn brand equity metric because it: predicts future share, it operates at an individual level (and I believe can be modeled up to scale in a digital age), and integrates attitudes and behaviors so it helps marketers manage both the hard and soft parts of marketing…sales today, brand building for tomorrow. Is there a possibility to simplify the constant sum question and still calculate real loyals? Yes…I imagine that ranking brands in a consideration set might work nearly as well and still reflects shopper heuristics in an intelligent way. But pick one? 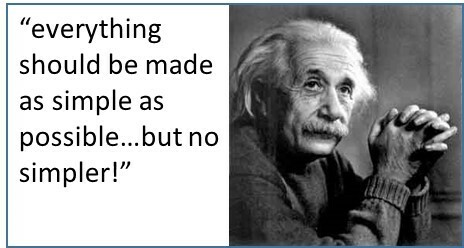 Sorry that fails the Einstein test via his famous quote…”Everything should be made as simple as possible, but no simpler”. Joel, you are correct that constant sum has shown to be useful in measuring the repertories/loyalties of consumers. MASB are trying to use this to predict changes in market share, this is quite easy to do for stationary brands, it’s also not difficult for brands on a trajectory upwards or downwards. But predicting inflection points, changes in trajectory, ahead of time – now that’s been shown to be essentially impossible. Although many have mistakenly thought they had (including you in your JAR article – as I have explained previously). Let’s wait and see if MASB release some convincing evidence, but yes it is right to be very sceptical. Joel, a good article. I can confirm that allocation models are much better predictors of share than simple choice models. Over many years we developed a brand measure called Stochastic Share. The calculation was based on size and brands in preference set. Taking preference sets and pro-rating the preference across brands in the preference set of each individual (e.g. a consumer has three brands so 0.33 each) then calculate market shares based on that summed data you will get a very useful measure of underlying brand share independent of promotional or distribution effects. Clients loved it because it told them what the brands real potential was. thanks Byron and Chris. Byron I agree that predicting inflection points is really hard. I doubt anyone understands why/how Red Bull or Chobani became so big. However, there are other marketing problems to solve where constant sum works much better, as Chris and I have found. For example, we are in the age of precision targeting, using programmatic (i.e. individual user targeting). Constant sum is consistent with that thread and single choice is not. Curious what EBI thinks of programmatic…care to share your POV? Thanks for your perspective on the work that the Marketing Accountability Standards Board (MASB) has conducted on the Brand Choice metric. MASB relies on industry commentary and feedback like yours to achieve our mission of establishing marketing measurement and accountability standards. We don’t believe that Brand Choice is a “magic” metric, but rather one that has been rigorously qualified through the Marketing Metric Audit Protocol (MMAP) developed by MASB to identify metrics that are linked to financial performance in predictable ways. The BrandBuilder constant sum metric that you describe may well be another. MASB would welcome the opportunity to evaluate the constant sum approach through MMAP to further our understanding of how it links to financial performance. Interesting commentary. Back in the 90′s we used CSA quite a bit for measurement of choice/preference, sometimes with a tweak here or there. Now, not so much. I don’t think pick one works all that well as your 2nd choice can be quite close. Perhaps its time to reexamine CSA. I think its strength is that choices are made vs. other brands in the set and you get a measure of relative distance between them. Recent literature by Keiningham and others have quantified the importance of this at the respondent level. Sadly, CSA may be too complex for a single number world.